Wellington social justice advocate and public servant, Kim Workman is the recipient of the 2018 Metlifecare Senior New Zealander of the Year Award. The winners of the 2018 New Zealander of the Year Awards were announced last night at the annual Gala in Auckland. Extraordinary Kiwis were celebrated and commended for their services to society. Dr Kim Workman, 76, is an active social pioneer and retired public servant. His commitment to overcoming issues related to criminal justice, welfare and prison reform has positively influenced the lives of many New Zealanders and their families for over 50 years. Metlifecare CEO Glen Sowry is thrilled that the awards recognise the contributions of New Zealanders regardless of age. “The calibre of finalists making positive contributions to the lives of others this year has been incredible. These New Zealanders are role models and leaders within our communities. The tireless commitment to society showcased by the Senior New Zealander of the Year Award finalists is admired and valued by all Kiwis,” says Glen Sowry. 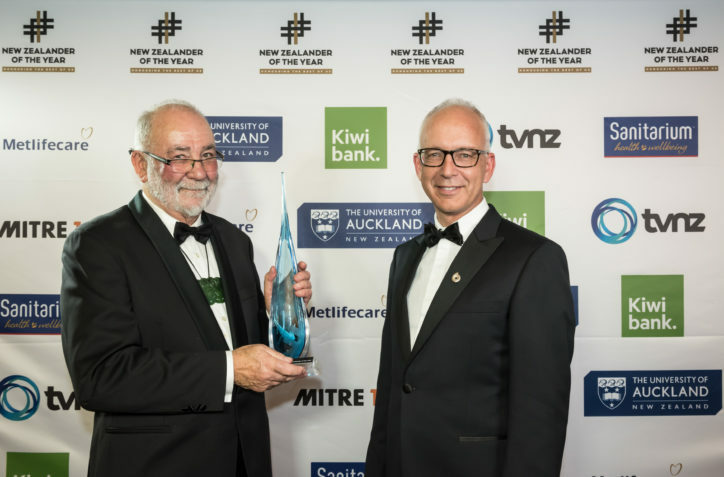 Artist Billy Apple and Professor Bob Elliot were among the fellow Metlifecare Senior New Zealander of the Year Award finalists, recognised for their ongoing contribution to the community.